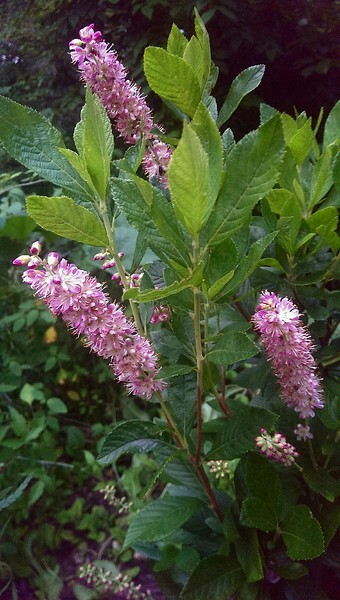 The Clethra shurb is a late summer bloomer. The blosoms come in white or pink and are a favorite of bees and butterflies. The name pepperbush is derived from the seeds it produces which look like pepper seeds. The plant is also known as Sweet Summerbush.